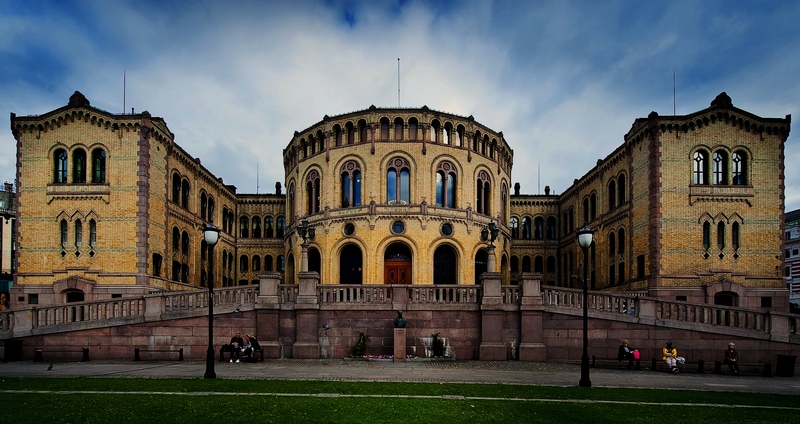 On the 5th of June, a unanimous Norwegian Parliament voted for establishing a beneficial ownership registry. Some background: Last year the Parliament voted to establish a publicly available shareholders registry, but not on beneficial owners. Foreigners shareholders were still allowed to invest anonymously through «nominee accounts». The Norwegian Central Registry for Companies (Brønnøysundregistrene) issued a report where they suggested what the new registry should look like. But in the report they suggested serious restrictions to whom should access the information, and restrictions on searching functionality. This got journalists, academics, NGOs and a lot others furious. In the mean time, FATF also issues a report evaluating Norways efforts combating money laundering. They concluded that Norway had serious weaknesses, especially in that they did not ensure information about the real owners of foreign owners in a timely manner. The debate that followed, culiminated in two Parliamentary members making a proposal to make sure that the new registry really would be a registry of beneficial owners with real access for the public. The text was even more strengthend in the comments made by a unanimous Finance Committee in Parliament on the 28 of May. The approve text includes both the proposal from the two parliamentarians and the comments from the Finance Committe. The text instructs the Ministry of Finance on the directions the new registry should take. Here are exerpts from the text that Parliament approved. Foreign owners can invest through the so-called nominee accounts, and so hide the true owner’s identity. Review of foreign shareholdings shows that over half are registered precisely through nominee accounts. Many are represented by managers who are known for extensive secrecy, as banks in Switzerland and Luxembourg. The proposers will emphasize the importance of that the public has effective access to information about ownership. Companies should be able to investigate who they do business with, and disclosures in the media about reprehensible economic conditions often come after tips from individuals or organizations. It should establish a system for verification, control and possible sanctions if registry requirements are not complied with. The Committee notes the proposals-makers’ contention that transparency of ownership and corporate structures have proven to be very important in the fight against tax crime, corruption and money laundering. In addition, the Committee considers transparency in ownership of companies is an important contribution to an effective and adaptable capital. A growing international acceptance of the need for transparency across national borders, and acceptance of the different countries’ tax and police authorities must be able to collaborate seamlessly, providing room for hope that the transparency of ownership can be better internationally and thus also in countries outside Norway. The Committee believes this could be an important modernization of an effective international market economy. It will also provide a better opportunity for the general public transparency and control. The definition of “beneficial owners” must be at a level that allows Norway to still stand out as a pioneer when it comes to transparency about the ownership question. The Committee also notes that Tax Justice Network – Norway in cooperation with a number of other organizations are investigating alternative ways to establish a Norwegian owner registration. The Committee expects that the Government will await this report and consider the solutions that emerge in this work in on equal footing with the report issued by Brønnøysund Central Registry. The Committee points out that achieving the greatest possible transparency in these issues will help to protect the economic system that has been built up in Norway. The committee will not dissuade the nominee registration may still be available in Norway, in line with the practical arrangements that exist in our neighboring countries. However, it is a prerequisite for such registration that the company itself, and authorities who need it and the public, at any time can get information about the underlying owners. The transparency and openness in the nominee accounts should be as similar as possible to the transparency which will now will be established for the new register for Norwegian shareholders.